Vancouver - Fully guided salmon fishing to enjoy your holiday. We have 5 hour, 8 hour or 10 hour fishing charters available. We are a Vancouver, Canada based company providing safety and quality services at every fishing trip. Take your family and friends with you! To make a reservation visit our website. Vancouver, BC - Fishing charter company located in the BC that offers year-round salt and freshwater guided tours for Salmon and Sturgeon. Ottawa, Ontario - Oziles’ Marina offers canoe and kayak rentals, boat launching, dock slips, icehut storage and more. Located in the east end of Ottawa on the Petrie Islands, Oziles’ is a fantastic location for family outings and relaxing days. If you are fishing around the Petrie Islands, come stock up your supplies at the Oziles’ tackle shop. Ucluelet, B.C. - Are you looking for a Ucluelet Fishing Charter? Here is a list of The Top Fishing Guides out of Ucluelet BC. The objective of this site is to ensure you know who are the real experienced long term guide operators out of Ucluelet BC, we want you to be safe and pleasurable fishing trip with top notch fisherman. They all have 10 years plus, some have over 25 years guiding experience on the West Coast of Vancouver Island, they are not newbies just starting out. Fishing Charters vessels are licensed & insured and exceed Canada Coast Guard and Transport Canada certification guidelines and they are members of the West Coast Fishing Guides Association, working to keep this a long term viable fishing industry. Vancouver, BC, Canada - Silversides Fishing Adventures is the dependable professional fishing guide service in Vancouver, BC and the Fraser river valley since 1996. We provide Fraser river fishing packages, Sturgeon fishing holidays, Salmon fishing holidays, Fly fishing guides, Vancouver fishing trips and great BC fishing experiences! Ucluelet, BC, Canada - Hot Pursuit Salmon & Halibut Charters, Your choice for Ucluelet fishing charters. Come experience salmon and halibut fishing that you will never forget. Vancouver, British Columbia - British Columbia's finest fishing trips. Choose from over 30 freshwater and saltwater fishing destinations in British Columbia, Canada. Nakusp, B.C. - We provide you all the information needed for you to design and plan your boating and fishing trip. We are situated in West Kootenay of British Columbia, Lower Columbia River system. You can go touring, site seeing and fishing, capturing every exciting moment of your trip. We will work with you to select the amount of time and places you want to experience. You can use your equipment or use ours, we have boats, fishing tackle, safety equipment and more. Plan your trip on the small pristine mountain lakes and stream to the larger ones. Ucluelet, BC, Canada - Fully Guided BC Salmon fishing and Halibut Fishing Charters in Ucluelet BC Canada. Located on the West Coast of Vancouver Island, a drive in destination. Enjoy a professionally guided salmon fishing trip, halibut fishing. Fully Licensed, and Transport Canada certified, all gear, bait and tackle supplied. Experience the thrill of landing a tyee class king salmon (Chinook above 30 lbs), a tail walking Coho (Silvers) or a heart pounding Pacific Halibut which could go over 100lbs. The average weight of a sport-caught halibut is about 15-40 pounds, although 100 pound fish are relatively common. Ucleulet, BC - Fully guided & top producing salmon and halibut fishing charters on the west coast of Vancouver Island, BC Canada. Vancouver, BC - Vancouver Sport Fishing Center is your one stop guide service in Vancouver, Canada. We offer fishing charters for sturgeon, salmon, steelhead, bottom fish, trout, Dungeness crabs and spot prawns. Our charter office is located on Granville Island and we are minutes away from great fishing. Salmon Fishing on the west side of Vancouver Island BC Canada. British Columbia boast some great salmon fishing resorts and we are a great alternative. Ucluelet BC Salmon Fishing - Pacific Rim fishing Charters and Guest Lodge offers World Famous Salmon & Halibut guided fishing charters & accommodations on the West Coast of Vancouver Island, B.C, Canada since 1983! Ucluelet offers outstanding fishing in the province of British Columbia. We average 20 to 80 plus fish a day per boat per day for the past 28 years with over 80 % of our customers returning year after year. What can I say, WE LOVE TO CATCH FISH with a great deal of pride. We have the largest fleet of boats in ucluelet! Stuart Island, B.C. - Salmon Fishing - both Fresh and Saltwater - Fully equipped and Licensed Grady White Cruiser - First-Class accommodation and meals. Trophy-class angling for all five species of Pacific Salmon. Professional skipper/guide, experienced, licensed and insured. Calm waters, big fish, and great weather. Trips can include Wildlife Viewing, cruising, and photography. Prince Rupert, British Columbia - Prince Rupert Fishing Charters specializing in catching large and aggressive Salmon and Halibut to Ling Cod and Snappers. Don’t forget the crabbing also. I specialize in catching large and aggressive Salmon, Halibut, Ling cod and Snapper. After a full day on the water you will have caught a tremendous amount of fish. I have been fishing the waters off of Prince Rupert for twenty five years. I know all the secret fishing holes. Depending on the wind and waves I will find a calm spot where the fish are biting. Mississauga, Ontario - We serve Toronto and GTA area - fishing charters, boat charters and cruises in Lake Ontario. Abbotsford, British Columbia - With Chad's Fishing Charters, your complete fresh water guiding service, you will experience the best the Fraser Valley has to offer. Fight the fish of your choice, Salmon, Trout, or Sturgeon, on a boat or on a bar, and anything in between - all it takes is a quick phone call, or our booking section online, - only one hour from Vancouver British Columbia, with the best guides the province of British Columbia has to offer. These licensed and trained professionals use only the best tackle, boats, and equipment to ensure your safety, convenience, and pleasure throughout the entire experience. Our guides and equipment are designed specifically for all British Columbian seasons, with covered-top boats sporting floor-heaters. Points North, Saskatchewan - Misaw Lake Lodge is Saskatchewan’s most remote fly in fishing destination. We are located aprox 1000 miles from the US border and 125 miles from the nearest road. We are the exclusive outfitter on Misaw and all of our 15 day use lakes. We don't share our fishing waters with anybody! Victoria, British Columbia - An Owner/Operator business located near Victoria, British Columbia in Canada. We specialize in Halibut and Salmon fishing in a pristine area of Juan Da Fuca Strait, which provides breath taking scenery of the Olympic Mountains. Sea life such as seals, California Sea Lions, Orca Whales, Humpback Whales, Pilot Whales and Grey Whales are frequently sighted. biggest. Book today with Waleaha Charters, you will not be disappointed. Prince Rupers, BC - British Columbia Salmon Fishing Charter Service - ocean sport fishing for salmon, halibut, ling cod, snapper. Guaranteed successful BC salmon fishing charters, halibut fishing charters, whale watching tours, Grizzly bear tours, Northern BC Fly-in-Fishing Charters and custom overnight ocean fishing Prince Rupert tour packages on the North Coast of British Columbia, Canada. Tofino, British Columbia - Specializing in Salmon Fishing and Halibut Fishing Charters on the offshore banks of beautiful Tofino, BC. From May to September the waters off Tofino and Ucluelet on Vancouver Island are teeming with Salmon and Halibut. The 2011 year has been forecasted to be as good as or better than the incredible 2010 fishing season. Vancouver, BC, Canada - We have been providing first class BC Salmon fishing charters, harbour cruises, ecotours, and kayaking and dive trips since 1992 from this world renowned location, in the heart of the city. We are members of the BC Fishing Guides Association, and our vessels are all compliant with safety regulations from the Department of Transport. Our goal is to provide you and your group with a personalized, exciting, and memorable experience on the water. Ucluelet, B.C. - Here you will find information of fishing one of the world's best spots for fishing salmon. We believe Vancouver Island's west coast is the best place in the World for a combination of salmon and halibut. If you want to fill your tub with Kings (Chinook), Coho, Halibut and Lingcod, come fish with the guides at FishingBC.net! for a preview of what to expect. Frohlich's Prince Rupert Fishing Charters BC-Experience Prince Rupert fishing in the rich coastal waters off Northern BC. Nakusp, British Columbia -Fishing Charters and tours. Ucluelet, BC - Halibut & Salmon Fishing Vancouver Island. Professional, experienced charter guides ready to give you the Vancouver Island Salmon and Halibut fishing charter experience of a lifetime! Vancouver, BC - Mark Finney will be your personal guide, and take you to salmon fishing grounds. He will show you what it takes to land the 'big one' and enjoy the waters and scenery around Vancouver, Canada. welcomes those who bring their own boat, or those who'd rather use ours. Accommodation styles from moorage only, to bunkhouse rooms, to deluxe beach cottages that include the use of a fishing boat. We have marine gas, a casual restaurant, and tackle store. Beautiful Nootka Sound is known for the salmon fishing in calm water. Tahsis, BC - some of the best sports fishing that British Columbia has to offer. Blessed with a number of local rivers including the Conuma and the Leiner, as well as a being a focal point for passing Salmon on their way to rivers in other locations, means multiple opportunities to land a whopper. Having an offshore and inshore fishery also means you are able to keep fishing in weather that may have meant heading home somewhere else. If you’re looking for a West Coast salmon fishing experience, this is your place. Chilliwack, BC - Fishing Charters in Vancouver, BC, Canada. Chads fishing charters offers the best sturgeon charters and Spring (King) charters in BC, Canada. Book your sturgeon or Spring (King) fishing trip online. Vancouver, BC - Fishing and outdoor adventures. Kincardine, Ontario - Our Father & Son Charter Service operates on the clean waters of Lake Huron off the shores of beautiful Kincardine, Ontario, Canada. (Where you can eat what you catch!) We target Chinook Salmon, Rainbow, Brown and Lake Trout. You will fish in comfort on board our 28' Cal Glass vessel and the ladies will appreciate the convenience of the small washroom, cabin, fly bridge and Microwave Oven! Almost all the comforts of home! Terrace, BC - World Class Spin or Fly Fishing lodge packages along the whole coast of British Columbia Canada. Click on my website and SIGN UP to receive my Weekly Fishing Report via e-mail. I faithfully send them out every Sunday evening. Contact me anytime...let's talk fishen! Tofino, BC - Contact: Shawn Hillier. Port Alberni & Bamfield - West Coast Vancouver Island, B.C. Salmon & Halibut fishing adventures servicing Port Alberni and Bamfield. Our charter vessel is a 24 foot Wellcraft Coastal, fully Coast Guard safety inspected and latest top quality tackle. Port Alberni & Ucluelet - Slivers Charters Salmon Sport Fishing provides a fishing charter service in the Port Alberni Inlet, Barkley Sound and the waters off of Ucluelet B.C. We provide wonderful salmon and halibut fishing. We have accommodation and saltwater fishing packages for all group sizes. Our boats range from 20 to 29 feet and are all transport Canada inspected. The best salmon halibut fishing is from mid May through to late September. Vancouver, BC - Pacific Angler is a full service destination fly fishing and conventional tackle store. 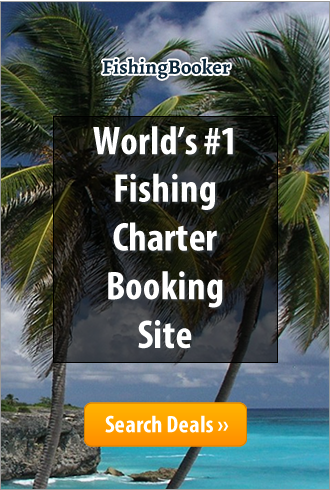 Experts in all areas of sportfishing with pride ourselves on knowledge and friendly customer service. In addition to a full array of fishing tackle we off guided fishing trips for both fresh and saltwater. Vancouver, BC - Guided Salmon fishing from downtown Vancouver. Our dock location is minutes from all downtown hotels. Come fish onboard our Grady White or our Uniflite. We fish year round for all five species of Pacific salmon. We are owner operated ensuring the best product! Port Renfrew, BC - Offering full-service halibut and salmon sports fishing packages, as well as accommodation. Discover the best BC Fishing. Vancouver Island B.C. - Professionally guided salmon charter fishing on Vancouver Island B.C. Canada. We fish Port Alberni, Campbell River and Ucluelet. Find fishing reports, guide and travel info and all you need to make your vacation successful. Manitoba - Your Trophy Fishing Guide Specialists. We specialise in guiding for trophy greenback walleye and trophy catfish on the Red River, Winnipeg River and Lake Winnipeg in Manitoba Canada. Come catch the Big One! Vancouver, BC - Fully Guided Salmon Fishing Adventures from the Heart of Downtown Vancouver, BC. The finest 28' sportfish boats in the city.